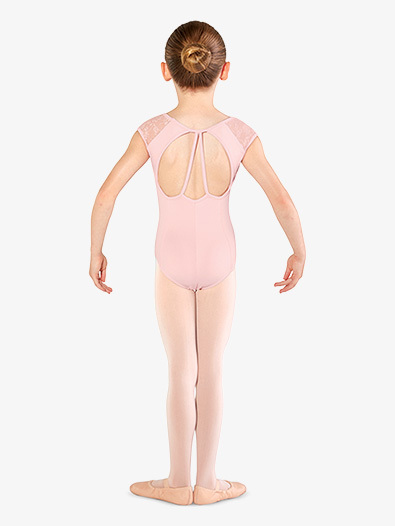 OUR PRICE: $29.20 - Join Rewards Get $1 Dance Dollars On This Item! 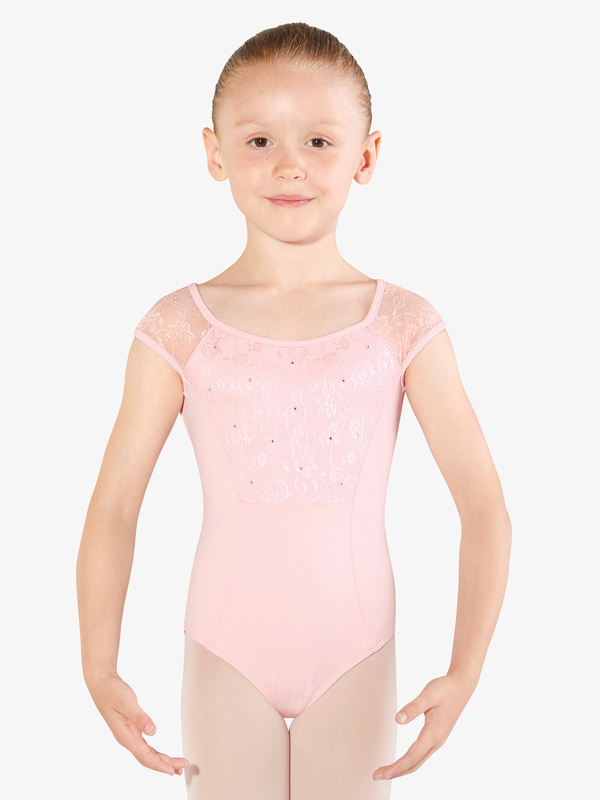 Sparkle bright in the cutest of all leotards! Features include cap sleeves with floral mesh inserts, floral mesh upper bodice overlay with rhinestone detail, princess seaming, and triple back cutout.